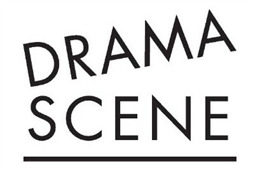 Welcome to DRAMA SCENE! Please complete the following registration form. 1. DRAMA SCENE classes that are missed will not be reimbursed, nor will make up classes be offered. 2. Deposits & Term fees are further non refundable and non- transferable. 3. DRAMA SCENE offer a settling in period to new students aged 3-7 years. Should students not settle into the course after completing 3 consecutive classes, the remainder of the term fee will be reimbursed. 4. All DRAMA SCENE fees, products and services reflect 5% VAT as per UAE Law. 5. Term fees are calculated per term, not per number of classes and since legislation may require DRAMA SCENE to close over UAE public holidays, DRAMA SCENE is unable to offer classes on UAE holidays and therefore cannot be liable for offering make up classes. 6. Placement within DRAMA SCENE courses can only be secured once a deposit of AED500 has been received. 7. Outstanding DRAMA SCENE fees need to be paid in full before the first class of term. Failure to do so will result in loss of place. 8. Students who join DRAMA SCENE in Term 02 will only be prepared by DRAMA SCENE with one performance piece. This will be sufficient for the performance. Any additional pieces required for examinations will need to be prepared by the student, independently of DRAMA SCENE. 9. Students new to DRAMA SCENE will be given their first DRAMA SCENE t-shirt as part of their initial registration fee AED 105.00. Thereafter t-shirts will be charged at AED 52.50. 10. Payments can be made at our DRAMA SCENE office in The Mall, Jumeirah Rd, Umm Suqeim 3. Office timings are Sunday - Thursday 9:00-19:30 Tuesdays 9:00-20:00 and Saturdays 9:00-19:00. We accept cash, credit card and bank transfers. DRAMA SCENE may not be held liable for any injuries or accidents that children may incur during classes and workshops and are not responsible for minding children before or after the session time. I hereby agree to waive any claim of any kind against DRAMA SCENE, their Founder, facilitators or any staff with respect to any losses, liabilities, damages, death or injury suffered or incurred whilst participating in a DRAMA SCENE class or workshop. Please do let us know in writing if you do not give consent for your child's photograph to be used in DRAMA SCENE social media and marketing. Should written notice not be received, DRAMA SCENE will assume full consent has been given. 1. Term 01 & Term 02 work towards optional examinations offered through LAMDA (London Academy of Music & Dramatic Art) for students 5 yrs plus. 2. Students wanting to register for LAMDA Examinations need to complete both Term 01 & Term 02 to be fully prepared by DRAMA SCENE. 3. Students who join DRAMA SCENE Group Classes in Term 02, will only be prepared by DRAMA SCENE with one performance piece. This will be sufficient for the performance. Any additional pieces required for examinations will need to be prepared by the student, independently of DRAMA SCENE. 4. Students who join DRAMA SCENE in Term 02 will be assessed by DRAMA SCENE staff to determine the appropriate performance material and exam grade where relevant at the start of Term 02. 5. DRAMA SCENE further reserves the right to withdraw any student registered for exams who they feel may not be well enough prepared by the end of Term 02. Fees will not be reimbursed. 6. Students who miss more than 3 classes during Term 02 may be withdrawn from the exams. 7. Student working towards a group presentation for either performance, exams or both need to commit to ALL classes in order to ensure full preparation of the group. 8. It is the responsibility of students to meet deadlines put in place by class teachers and practice and perfect their performance pieces ahead of each class and come to class fully prepared. 9. All students 8 years plus need to bring to class each week a pencil, eraser, drama note book/file and performance piece(s) in a folder. Students are expected to take notes of teacher's feedback. Individual emails cannot be sent to students each week. 10. Registration for LAMDA examinations will take place end Jan/Feb 2019. 11. DRAMA SCENE does not offer late exam registration options should students miss registration deadline. 12. Since LAMDA no longer covers the cost of studio hire for examinations, a fee of AED100 is added to all individual fees to cover the costs of studio hire for examinations, administrative costs and exchange rate buffer. 13. Examination fees are non-refundable and non-transferable. 14. LAMDA schedule all exam entrants and once the schedule is finalized changes cannot be made annually. 15. LAMDA examinations are scheduled from mid-April - mid May and may be scheduled on UAE national holidays that fall during exam sessions. Exact dates and exam times can only be confirmed once scheduling has been completed by LAMDA. 16. As per LAMDA's rules and regulations, exam entrants who miss their exam time will unfortunately not be rescheduled. 17. Students are responsible for keeping clean copies of their performance pieces for both exams and annual performance and need to make duplicate copies from soft copies provided by DRAMA SCENE. Providing copies is not the responsibility of DRAMA SCENE staff. 18. Since Term 02 ends late March and exams are expected to take place late April, exam entrants are responsible for maintaining and practising their performance pieces independently of DRAMA SCENE. Term 03 DRAMA SCENE classes do not offer exam tuition. 19. All female exam entrants entering into Level 03 Medal exams (Grade 6, 7 & 8) are required to purchase a DRAMA SCENE character skirt at the start of Term 02. 20. Exam entrants who leave the UAE prior to receiving exam results (certification & report cards) will need to pay the costs of courier to collect the necessary documentation from DRAMA SCENE's office.